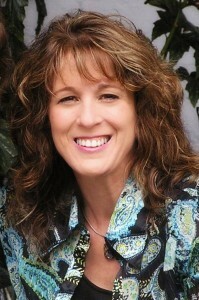 Jill Borsos defines and transforms what is holding people back to living their true potential and their greatest lives! She is a catalyst for change through her commitment to the outcome, enthusiasm, collaborative, intuitive and healing gifts, and awe-inspiring results. Jill reframes issues into opportunities to see who you truly are, so that you can experience your greatness now. She utilizes a transformative coaching method which invites free-flowing, open conversation, active listening, clarity of vision, and a path for achieving goals, and/or most often, results that are far greater than you had imagined! She also has an uncanny ability to reveal the truth, epiphanies, and enlightening and life-altering perspectives, which ultimately change the course of your future. She utilizes healing meditations/processes, tools, and teachings to shift the energy of your chakras (energy centers in the body), thoughts, feelings and actions to function in unison in order to support your highest intentions. Jill is engaged with professionals and entrepreneurs, like you, who are ready for open, honest conversation, and to receive the benefit of guidance, support, healing and encouragement necessary for living your true potential. She is known for offering the discovery of deep, life-changing awareness, healing of emotions and traumas, deeper connection, joy and liberation, realization of achievement/dreams, and inspiring others to live their greatest lives with passion, dignity and honor! What does your future look like with Jill Borsos in your corner? Jill Borsos transforms lives around the globe as a Transformation Coach, Intuitive and Cross-Dimensional Healer™. Have you thought about starting your own business? Are you willing to risk it all to leave the safety of your job? Do you dream of being making a greater contribution in the world? What are the risks of evolving? What is the inside scoop that you don’t hear about making the leap? What are the risks of not evolving? Learn from Jill’s own evolution from a senior manager in the corporate world to the life of a healer. Cross-Dimensional Healer™ – Ability to access source energy across dimensions, in order to align the energies, bridging the gap between your psyche, the physical, and your emotional body, etc., and bringing about wholeness/healing.